Cryptocurrency has undoubtedly unleashed its capabilities marvelously that everyone from enterprising millennial to big financial institutions is keen to explore how cryptocurrency has risen to change the business path so marvelously. As more and more businesses are looking to multiply their revenue from cryptocurrency exchange platform development, users on the other hand buying digital currencies to make profits for themselves. In fact, they are more interested as to how they can cash in on the blockchain craze which means choosing a cryptocurrency exchange platform. The method of buying cryptocurrency varies between cryptocurrency exchange platforms. Some cryptocurrency exchanges require deposits by bank transfer, some use PayPal, some accept debit and credit cards and some only use cryptocurrency for purchases to happen. If you do not have any cryptocurrency before joining a cryptocurrency exchange, it is imperative that you select a cryptocurrency exchange platform which accepts fiat currency so that you can easily enter to the crypto market. It is also essential to understand here how long purchases take to complete the transaction. Some of the exchange platforms process transactions quickly while others take days or weeks sometimes. Most of the cryptocurrency exchanges support Bitcoin and Ethereum, however cryptocurrency investors are very well aware that it is just the tip of the iceberg. There is a substantial variation in supported cryptocurrencies across different exchanges and some platforms like Binance trade a long list of altcoins, although Coinbase trades only 4 big cryptocurrencies. You can further balance your bets with stable coins often used by traders to hedge against the volatility common in the cryptocurrency market. Transaction fees differ across various cryptocurrency exchanges, which is actually quite crucial when selecting a cryptocurrency exchange platform. Some of the exchanges offer discounted fees. This occurs when a cryptocurrency exchange own token is used to complete transactions. Plus, it can even relate to how many tokens are held, others only charge a transaction fee on sales, allowing purchases free of fee. 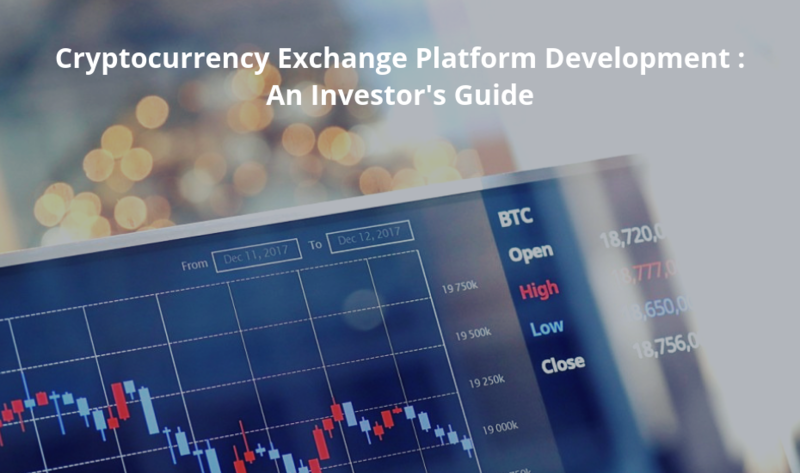 There are 3 main types of cryptocurrency exchange platforms, so you need to know what they are prior to choosing a cryptocurrency exchange. Cryptocurrency trading platforms are the most common which include: Binance and Coinbase. They are marketplaces where users can place buy or sell orders for cryptocurrency. There is a fee for each and every transaction. P2P exchanges such as: Cointal, connect buyers and sellers to interact directly, relying on both parties to agree to any given transaction. P2P exchanges help alleviate network congestion and maintain a secure and trustless system for the exchange of cryptocurrencies. For any cryptocurrency investor, one of the most crucial aspects is the user interface and functionalities. Whether you are an experienced cryptocurrency trader or buying Bitcoin for the first time, an intuitive interface and excellent user experience help user actions on the exchange to be more efficient and informed. User experience is subjective and different people will enjoy different user interfaces. But, the cryptocurrency exchange platform with the excellent user experience will observe the biggest growth in transaction volume in the coming years ahead. As an exchange’s value is largely tied to its user numbers, exchanges are able to boost their user numbers and transactions via their user experience. Making lots of money is not enough; the cryptocurrency exchange of your choice should provide a mechanism that ensures the safety of your cryptocurrency. A cryptocurrency exchange should implement 2FA which in addition to your username and password requires an extra security key. It could be an email or SMS verification. If you don’t want to withdraw your digital money from an exchange, it is completely secure enough to keep it in cold storage. To prevent extensive amount of risk, it is essential to understand the liquidity that cryptocurrency exchange has. The liquidity is an ability to sell without the price being affected and causing price decline. Also, increase in the number of buyers and sellers are likely to increase the liquidity of exchange. It can be evaluated by the volume of Bitcoin exchanges at that particular point of time. Our blockchain developers have developed two cryptocurrency exchange platforms – Vega Wallet and Zinance. They both are safe and consider being biggest in the long run. Do not afraid to sign up or if you are someone who is keen to create a cryptocurrency exchange, you have come to the best place.